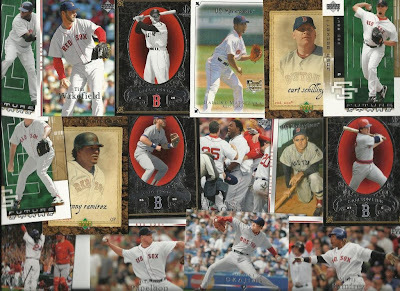 I previously opened a Yankees Fan Pack - 25 cards picked by Upper Deck, all of which were Yankees. Well, tonight, I have the Red Sox version. 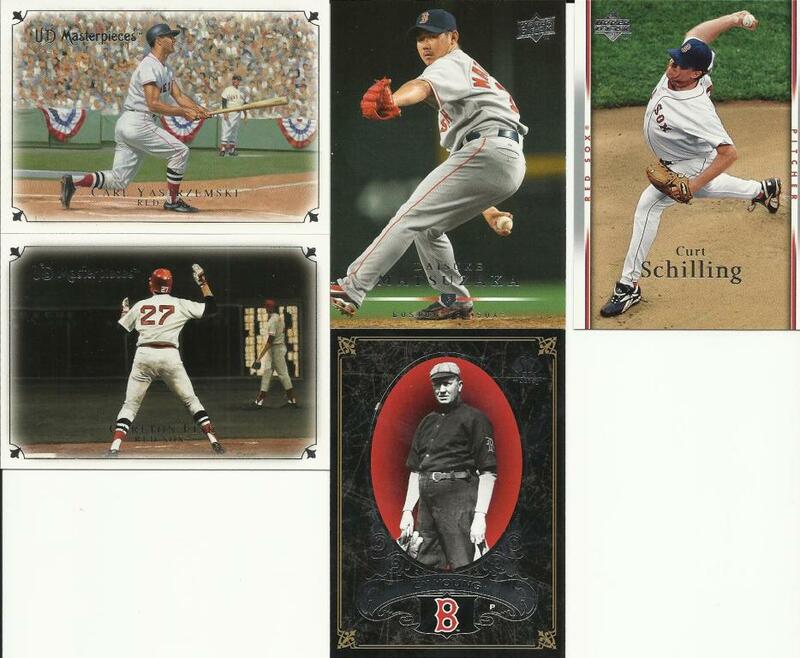 To be fair, I will also open a pack of cards that should feature more than "only" Red Sox players. 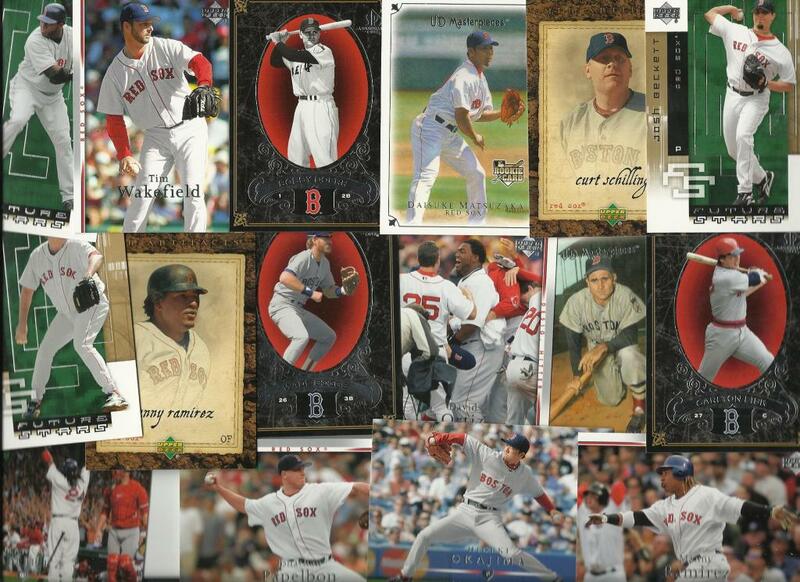 2008 Upper Deck Red Sox Fan Pack. 25 cards per pack. Wow, several of you scored almost a handful of cards yourselves! Luckily for some of the other folks, they were able to snag some players, too. And, we managed to sneak in a couple free agents for the next draft. Not a bad pack at all! Next up, 1990 Upper Deck. 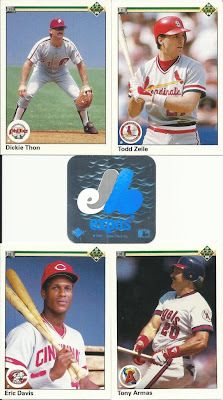 15 cards and a hologram logo per pack. Well, that didn't go the way I had hoped at all. I was hoping to spread the cardboard love, and we did for a couple folks. But, mostly, we just opened up a stack of players to be added to the draft. Now how in the world is JD Drew not claimed yet?